Lots of pens available these days accept either a “Parker-Style” G2 refills, a Pilot G2 refill (adds to the confusion for sure) and the Pilot Hi-Tec C style refills. I thought I’d try to come up with a list of refills that fit into these categories. This is by no means a definitive list but should provide you with lots of options for your favorite non-fountain pens. There are so many potential options for a “Parker-style” refill (which annoyingly enough is also referred to as a G2 though it is not necessarily compatible with a PILOT G2 style pen). The G2 refill is 98mm long and approx 5.8mm diameter on the main barrel. Mike Rohde of Sketchnoting fame hacked a Pentel Energel refill (normally a Pilot G-2 sized refill) to fit into his Retro 51 by trimming the end of the refill to be the right size. If you’re willing to experiment, other refills might also survive this sort of hack. I’ve hacked the end off a few refills in my time to make them fit as well. Just grab a craft or utility knife or a sturdy pair of scissors, line up the old refill and the new refill and snip. Voila. If you love a particular sort of pen refill, you can also lengthen a refill that’s too short by adding a bit of plastic tubing to the end of the barrel. The fine folks at Karas Kustoms provide a length of plastic tubing with their Render K, RETRAKT and BOLT pens that could be used with other brands as well or you could snip off a section of an empty plastic refill to length a new refill to fit. The best source I found for ALL the Parker-style refills was Cult Pens in the UK. They stock over 30 different styles of Parker-style refills. Another option is Refill Finder. Using a spring around the tip of the refill will help to stabilize these. Use either the spring provided by your pen manufacturer or steal one from a retractable plastic pen body to get the perfect fit. 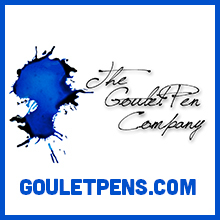 Cult Pens has a great selection of these refills in their “Euro Refills” section. The Pilot Hi-Tec C style refills list doesn’t look as extensive as the other refill styles but the Hi-Tec C line has a huge assortment of color options and tip widths to provide quite a variety. The Pilot Hi-Tec C refills can be purchased individually or liberated from any Pilot Hi-Tec C pen including the Maica line. I’ve found that the Uni-Ball Signo refills may need to be trimmed slightly to fit but they work great. Just use scissors, a craft knife or blade to shorten the length to match the original length. I liberate Signo refills from plastic pens found around my office as well as occasionally purchasing proper refills. Then there’s the D1 sized refills. These are the super slender and used in multi-pens and mini pens. The Sharbo-X is a great example as is the Retro 51 Tornado Touch. Big thank you to Dan at Karas Kustoms for giving me his list as a starting point. Thanks to The Pen Place in Kansas City for letting me try out lots of refills. The rest of my info came from Jet Pens, Cult Pens and Refill Finder. Monteverde is modifying some of their refills to fit pens with more proprietary sizes like Lamy. Lamy is the most finicky of all the pens. If you have good alternatives for refills for Lamy rollerball and ballpoint pens, let me know. Don’t forget to check your local office supply or pen store (even those big box shops) and play around with the pens and refills you have. You’d be surprised what might work. I’m working on a handy printable pocket guide of all these pen refill options but I want to make sure I haven’t left anything out or gotten anything wrong. So let me know which of these refills work for you and which don’t. Note: I have not tried EVERY refill with every pen so your results might vary. Please leave notes in the comments about your favorite pen and refill combination for other readers. Thanks! House Industries makes some of the most amazing fonts, typography and design. Thankfully, you can now use the same tools as the staff at House Industries uses. Sketch like Andy Cruz with a 6-pack of House Industries branded pencils in a House Industries mini journal. Use an official “House Industries Letter Sharpie” like Ken Barber. And post it all up on the wall with House Industries Carnival masking tape. When recently asked “What pen do you reach for most often?” my less-than-pen-nerdy husband answered, “Whatever is at hand.” Oh, my aching pen geek heart! I succinctly told him that using “any old pen” when you’re married to a pen nerd is akin to me getting business cards printed at Kinko’s. 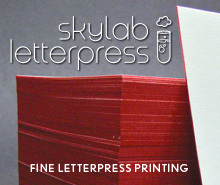 No offense to Kinko’s but my husband is a premium letterpress printer and I would never dare to tarnish his reputation or sensibility by carrying a less-than-fabulous card. That said, I’m on the hunt for pens that are not “fancy-pants” fountain pens but not a disposable plastic pen either. The catch is that he genuinely likes the writing quality of the Uni-Ball Vision and similar gel/rollerball pens. This conversation synced with thoughts I have been having about the upscale (non-fountain) pen. Like most pen geeks, I have a deep-seeded respect for the writing quality of the gel/hybrid rollerball pens but I just don’t want to carry around a plastic pen. One of the things I like best about the fountain pens I use is that they are aesthetically appealing and endlessly refillable. In looking for a suitable pen for Bob (and continue my own search for a good non-fountain pen), I went to the most successful Kickstarter pens. Most of these are well-designed pen body that utilizes the most favored refills (either the Pilot G2-sized refills or the Pilot Hi-Tec C-style refills). I immediately went back to my well-loved Karas Kustoms Render K which tends to be my go-to pen at work. It is loaded with a Pilot Hi-Tec C refill (in green, of course). It looks professional but will write on any surface I might be faced with in the average meeting (photocopies, 3×5 notecards, post-it notes or my own notebook). I’m considering adding a Render K that accepts the G2-style cartridges to the mix as well to expand my refill options. Another pen up for consideration is the Ishuja’s Eco-Essential Pen ($55) which is a bamboo outer casing with aluminum interior and hardware. I really like the look of this pen. Its a clean, simple design and is available for either the Hi-Tec C-sized refills or for the G2-sized refills. The mix of silver metal and warm bamboo wood is gorgeous. The Big Idea Design’s Solid Aluminum Pen + Stylus ($59) is also a possibility. It has an all-aluminum body with a titanium clip and is the less expensive sibling to the solid titanium version that was originally a Kickstarter project. This pen also includes a touch-sensitive tip for digital devices on the end. This can be swapped out with a flat screw for a cleaner look that ships with the pen. The pen accepts the G2-style refills too, of which there are lots of refills to choose from. As a temporary solution to my husband’s lack of appropriate pen, I gave him my Karas Kustoms RETRAKT in brass ($65) with a standard G2 black refill in 0.5mm. Hopefully, he’ll resist the urge to just use “any old pen”, especially in front of clients. He has a Fisher Space pen, a Sherpa and an Acme pen, all of which he’s misplaced. Maybe I shouldn’t have given him the RETRAKT after all? 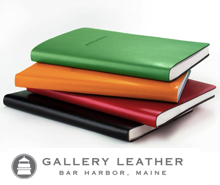 Do you have a favorite pen that accepts standard rollerball/gel refills? Let me know in the comments! Once again, I attended the Spectrum Fantastic Art Live event here in KC this weekend. Its a convention of fantasy and science fiction artists working in comics, fiction, storyboarding, sculpture and more. There are Q&A sessions and artists doing live demos of painting, sculpting and digital techniques. Its an amazing show with A-list artists from all over the world. A couple years ago, a few artists were kind enough to show me the tools they use to sketch and draw. This year, I was able to talk to a few more artists about their favorite tools. Tom Kelly showed off his favorite tools to my husband. And was enthusiastic about his Uni Ball Signo Broad opaque white gel pen, the Kuretake No. 13 brush pen, and the Pentel Presto! Correction Pen as a drawing tool. 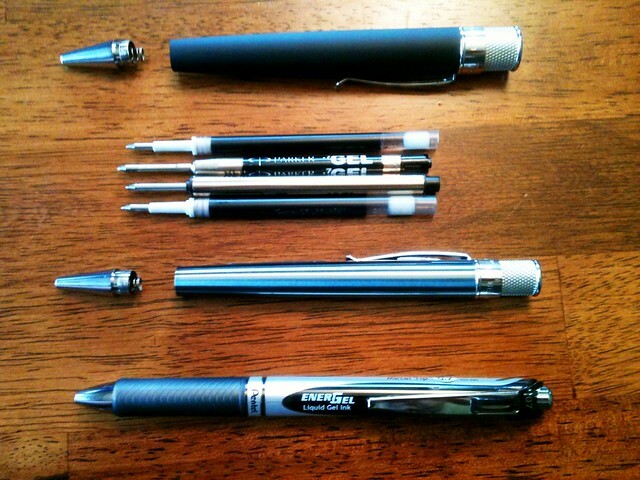 He also kept an arsenal of Sakura Pigma Microns, Sharpie markers and a Pentel Graphgear 0.5 mm drafting pencil. I met Hector Casanova who is not only an illustrator and comic book artist but also an illustration professor at KCAI. We bonded over our unending love for the Sanford NoBlot pencil. I just write and doodle with my NoBlots but Hector sketches and draws with his hoarded collection. Then he adds water to create a washy blue effect on his drawings like these figure sketches he did at an event at Spectrum this year ( may be NSFW). Hector also uses a full army of Japanese brush pens. I recognize the Pentel Pocket Brush pen and the Pilot Futayaku Double-Sided Brush Pens. There’s been several new Top Five pen lists pop-up on the web in the past few weeks so I thought I’d share them here. Alt.Haven’s Top 5 Pens. The list is fountain pens but its a great assortment. Brad’s collected Top 5 Pens list includes his top five fountain pens, micro gels, plastic-tipped, inks and more. These lists will keep you busy for awhile. The Pen Habit made a video of his favorite pens for his first year of using fountain pens. While we’re talking about videos, Goulet Pens did a Top Five Graduation Pens video. And of course, Mr. Dowdy’s Worst Pens list. I was surprised by some of the pens that made his list. I got an Ohto Dude and did not have any problems with it. I found it to be a decent low-priced fountain pen but, in general, I think fountain pens in the $25 range tend to be hit-or-miss in terms of quality control. I concur with Brad’s opinions about the TUL ballpoint but I have also had major issues with the dry time on the TUL gel and rollerball pens. If you’re left-handed or prefer quick-drying inks, I’d give the whole TUL line a miss. As for the Sliccie Multi-pens, I haven’t had any of the issues that Brad had. I’ve used the Pilot Hi-Tec C, the Pentel Sliccie, the Uni Style Fit and the Zebra Prefill and all have worked well for me. They all orbit my desk at work and get used on-and-off for meetings. I’ve not had any issues with any of them. I have even had to replace cartridges in all of them. (I did notice that I have not written a review for the Sliccie singles or multi-pen so I’ll remedy that soon.) The other pens Brad mentioned, the Bic A1 Gel and the Caran D’Ache ballpoint I have not tried because I just can’t use 0.7mm or wider gel pens without making a smeary mess and ballpoints and I do not get along. Should I do a Top Five list? Do you have a Top Five list of your own? I’ve had a fascination lately with brush pens. There are so many variables with brush pens; tip size and tip material being the biggest factors. I’ve collected all the brush pens I currently have for a little show-and-tell. I certainly wouldn’t say one of these is better than another but they are all different and you might enjoy a specific aspect of one or more of these pens. Some of the pens have foam-like tips, some have more like felt-tip points, some have actual filament brush tips. As you can see, the pens have a wide range of widths and softnesses that will affect how wide a line you can create and how variable your line widths will be. Most of the brush pens are water soluble, non-waterproof. My favorite pens are the Staedtler Mars 3000 Duo and the Copic Ciao Superbrush. The foam/polyester brush tips are stiff enough to create a wide range of line weights while putting down a rich black ink. Both are available in a lot of other colors and are water-soluble, blendable inks. The points seem to stand up to all the abuse I throw at them too. The softest brush pens are the ones with real filament brush tips like the Pentel Color Brush and the Kuretake Fountain Brush Pen.They take a bit more practice to get the hang of using them. The Kuretake came out a little light because it uses a fountain pen style cartridge and I had cleaned it out so there was still a little water in the bristles and feed when I put the new cartridge in it. The Pentel Color Brush has a flexible pen body so that you can squeeze it to force more ink out. Often, when I run out of ink in the Pentel Color Brush Pens, I’ll just dip it into a bottle of black ink and keep going. The bristles will soak up a good deal of ink. The Tombow Fudenosuke is the finest making the thinnest lines. I tend to use it as my everyday marker for labelling file folders, addressing envelopes and the like. It adds more character to my writing than a Sharpie marker. The Pilot Pocket Brush is similar but with more variation in line weight and a bit more bold. The felt-tip brush pens like the Copic Multiliner Brush tend to fray out at the tips quickly. Luckily, replacement tips are available and the Copic Multiliner is the one pen that’s waterproof. I’ve barely scratched the surface at the wide array of brush pens available. Some are refillable, some are cartridge-based, some are not. There are more sizes and ink colors to choose from too. Have you tried any brush pens? Pens were tested on the Rhodia No. 18 Uni-Blank Pad. DISCLAIMER: Some of the items shown here were sent to me free of charge by Jet Pens for the purpose of review. Please see the About page for more details. About fine points of any type, be they fountain, roller, ball pen or even pencil. While they would not be my first choice, sometimes a medium or broad just won’t work. I have found workarounds for pencils to avoid the 0.3 and 0.5 nightmares. I see all the reviews for fountain pens extolling the virtues of specific nibs. All I get is scratchy frustration, with no apparent sweet spot. Alternate ink and paper don’t seem to help. There are pens sitting unused in my arsenal that deserve court time. Plus there are always ones waiting to be acquired. Suggestions and recommendations ??? Fine nib pens are not, as a whole, scratchy. I do find that the teeny tipped gel pens, like the 0.25 Pilot Hi Tec Cs, to be a little scritchy, but overall there may be some other issues to consider. The only thing I can think is that you might have a “heavy hand.” This is in no way an insult or anything, it just means that you press your pen more firmly on the paper or that you grip you writing tools tighter than others. With fountain pens, if all pens seem scratchy, I would recommend making sure to use a lighter hand — the least amount of pressure to release ink on the paper. You might want to practice just by making loops on paper with the lightest, loosest grip. Once you find the sweet spot, try actually writing. I think the same process would work with gel or rollerball pens too. The only other possibility would be the angle that you are writing. If you have a Lamy Safari or other pen that has a molded grip area that forces a “correct” hand hold, try using that in combination with your lightest touch. Please let us know if you are still having issues. Many pens come supplied with the Parker Jotter style refills. The issue is that they are almost always black ink. The first thing I do is change the refill to blue or green. I refuse to just toss the black refills in the waste bin since they are brand new. They need a good home, just like puppies and kitties 🙂 Any ideas? Anyone in need of black Parker Style refills? Or know of any place she can trade or sell them? Leave a comment or email me through the Ask The Desk link and I can put you in touch with Millicent. Thanks! If your goal today is to avoid being pinched, make sure you carry a green pen or pencil. Happy St. Patrick’s Day! I’ve always been a bit hesitant to invest in a holster-style pen case. Most of my pens retail for less than $50 so it seemed like overkill to invest in an expensive carrying case for my hacked Metropolitan or my TWSBI Mini. But thankfully, the Nock Co Kickstarter campaign put the Lookout Pen Holster in just the right price point for my assortment of loved-but-reasonably-priced pens. I selected the navy blue case with gray lining. Most of my pens are clear, silver, grey or black so the simple, classic color scheme seemed like the right choice. Besides, the initial offering from Nock Co did not include ANY green cases (hint, hint, Mr. Dowdy!). The case feels slightly padded which makes me feel like my pens are getting even more protection and the flap tucks easily under the strap. There’s no snap or velcro to make opening and closing the case distracting in a classroom or meeting which is a big plus for me. Even with the padded feel and the three divided slots, this is still a svelte, compact case. Just enough room for your three “daily carry” pens/pencils — nothing more, nothing less. My longest pen is the Lamy Studio but I think the clip placement has more to do with how high it sits in the case than the actual pen length. I think the green Karas Kustoms Render K looks especially nice against the grey and blue. I even tested the ginormous INK! fountain pen in the case and there’s plenty of room to spare both in height and in the width of the stitched pockets. The only pens that don’t fit quite so well are my tiny pocket pens like the Kaweco Sports and Monteverde Poquito. Maybe there will be a Little Lookout in the future? I’m not sure what the pricing will be on the Lookout when the Nock Co store opens but I’d venture to say that $20 seems like a reasonable price for a well-made, made-in-USA pen holster case. The fine folks over at Pen Chalet gave me the opportunity to try the new Monteverde Poquito fountain pen (Retail price $30; from Pen Chalet, $27). Its a classic looking, teeny tiny pocket pen for sure. This is the first Monteverde pen I’ve tried so I was quite excited for the chance to take my first foray into the Monteverde pen world. The packaging was on the budget side, just a cardboard box with the pen in a plastic sleeve with an instruction sheet and a single refill cartridge. For the price point, I don’t expect presentation quality packaging but if this is a make or break for you or you were hoping to give this as a gift, I recommend creating your own presentation packaging for this pen. The branding on this pen is quite subtle. In black on the opposite side of the cap from the clip, in small type, is the Monteverde brand name and below it in smaller text “Poquito”. I know a lot of folks are not fond on the Monteverde logo type and this is some of the most subtle application I’ve seen. Truly unobtrusive. On the top of the clip is a small emboss stamp of the Monteverde crest. I received the chrome finish version with a “Iridium Point Germany” medium stainless steel nib. The pen has a smooth, tapered shape that made me think, “If a Fisher Space Pen and a Kaweco Sport ever merged…” then this would be the result. Good looks, totally pocketable with some steely-eyed missile man good looks. Overall, the physical size is quite comparable. For determining the width of the pens, the Poquito feels more like the size of a Uni-Ball Signo capped pen while the Kaweco Sport barrel has the width equivalent of a Sharpie marker. The Liliput is ever-so-slightly narrower than the Poquito and is the same diameter from end-to-end while the Poquito tapers on each end. Does that make sense? I let my husband try the Poquito to get a “man’s perspective”. He found the pen too small overall but normally he prefers ACME pens. He couldn’t find his Fisher Space Pen so we couldn’t do a side-by-side comparison but he’s pretty confident that, when posted, the Space Pen is about a 0.5″ longer than the Poquito. The cap posts easily and does not affect the pen’s weight. The cap actually helps to weight the pen creating a pleasing writing experience. The narrower overall width of the Poquito made it comfortable in my small hands. Its wider than the Kaweco Liliput but obviously narrower than the Kaweco Sport. The grip section is tiny with a slight ridge where the body and cap snap together. The ridges are smooth so they are not distracting but I imagine this might not be comfortable for extended writing sessions. The cap snaps on with a satisfying click. The nib was silky smooth out of the box. I seldom use a medium nib fountain pen but this wrote so smoothly and consistently as soon as I put the accompanying cartridge in it. Not one skip or stutter. The line weight was on the finer side of medium for a European/American nib. No lefty issues with getting the ink to flow and on the paper. The nib is stiff with no flex but I needed only the lightest touch to write and got some nice line variation and even some shading from the black ink. I would probably prefer a fine nib but I like the look and feel of the medium and is not a make-or-break aspect for me with this pen. If the nib is any indication of Monteverde’s other fountain pens, you’ll definitely be seeing more Monteverde reviews here soon. This pen is “full of awesome” for $30 or less. The Poquito fountain pen is new for 2014 and is also available in a dark Stone Gray, a bright metallic Turquoise and a metallic Pink finish with silver tone clip (see the colors over at FPGeeks). The Poquito line offers a stylus/ballpoint model in a similar size and an XL version. 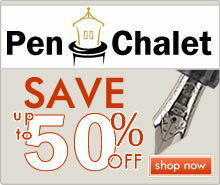 Pen Chalet would like to offer a special discount for readers of The Well-Appointed Desk. Receive 10% off any item on their site using the coupon code wellappointeddesk, including the Poquito. Offer is good through March 31, 2014. Render K + Uni-Ball Signo = LOVE! While I was in SF, I found some refills for Uni-Ball Signo. I couldn’t remember if these would fit in my Render K but I was willing to take a chance. It was blue-black ink in my favorite 0.38 size. At less than $2, it was a gamble I was willing to take. The package was labelled UM-151 0.38mm. Jet Pens does not seem to stock this particular flavor refill but Maido’s online shop, MyMaido does stock them. UPDATE: Eagle-eyed reader, Adamfmoore found the proper refill on JetPens. It’s the Uni-ball Signo UMR-1 Refill and it sells for $1.65. I discovered that the refill was about an 1/8″ too long so I trimmed it down with a trusty X-acto blade. The plastic is quite hard so if you try this yourself, be careful! It would be easy to slice your finger in attempting this. Once trimmed, the Render K screwed closed easily and voila! Deep green pen with blue-black silky ink. JOY! Written on Rhodia No. 18 Uni-Blank Pad. Render K from Karas Kustoms.